Bathrooms are often overlooked, but are among the most used rooms in any home. Shouldn’t your home’s bathroom be a welcoming, relaxing place for you, your family and your guests? At Matthews Construction and Design, our bathroom remodeling services can transform your bathroom into an inviting room that is both functional and beautiful. Master bath suites, luxury showers, and small powder rooms – there are no designs we can’t make a reality. For more than 48 years, customers in Montgomery County, Maryland and Washington, D.C. have counted on Matthews Construction and Design for a full range of remodeling services. We offer kitchen remodeling, basement remodeling, and general remodeling of all types. Owner Brian Matthews has the creative design sense and practical experience to craft one-of-a-kind rooms of the highest quality. As much as we love to remodel bathrooms that look amazing, the functionality of the room itself should never be overlooked. What are your needs for this particular bathroom? Do you want to remodel your bathroom into a luxurious master bathroom suite with a soaking tub, shower room, or a separate toilet room? Or will this room be used by the entire family to bathe the children or pets? Starting with this functionality in mind, we can design and remodel a bathroom that’s uniquely tailored to your family’s needs. Any bathroom remodeling contractor can install a floor, but the care and attention that goes into the installation will be the difference between achieving your vision for the perfect bathroom and dealing with a faulty floor with uneven tiles that needs repair in just a few years. When remodeling a bathroom, you have a range of flooring options to choose from, each with its own pros and cons. Stone floors, like marble or granite, make for magnificent, timeless styling, but can be costly, and are potentially slippery and cold when wet. Vinyl or laminate flooring is not as stylish as some materials, but is highly affordable and extremely easy to clean. Tile has a full range of style options, and gives a quality, classic look to the room at a reasonable price. For over 43 years, Matthews Construction and Design has earned a reputation as a bathroom remodeling contractor with outstanding unmatched service standards. 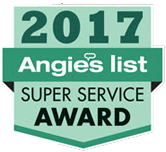 Homeowners in Washington, D.C., Gaithersburg, Rockville, and throughout Montgomery County have honored us with an A rating on Angie’s List. Contact us today for a consultation.